Our Back-to-School Guide style spread has everything from uniform essentials to personalized stylish finds from Chasing Fireflies that add fun and flair to the every day. 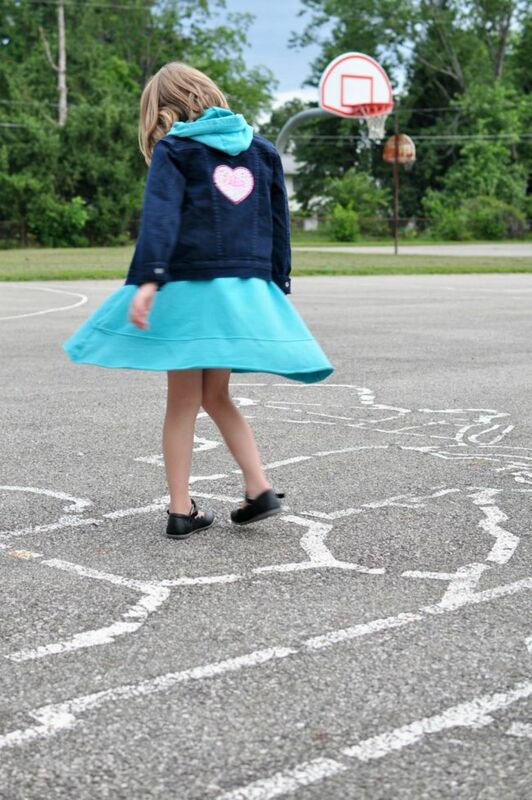 The back-to-school style inspiration kicks off with the Hooded Ruffle Dress and I Before E Tee. The stretchy knit dress is reminiscent of a sweatshirt - comfortable and soft. The front ruffle adds some girly flair and the wide skirt has twirl appeal. Chasing Fireflies provides wow factor with its name brand personalized items (UGG boots with your initals!) and the Back-to-School collection doesn&apos;t disappoint. 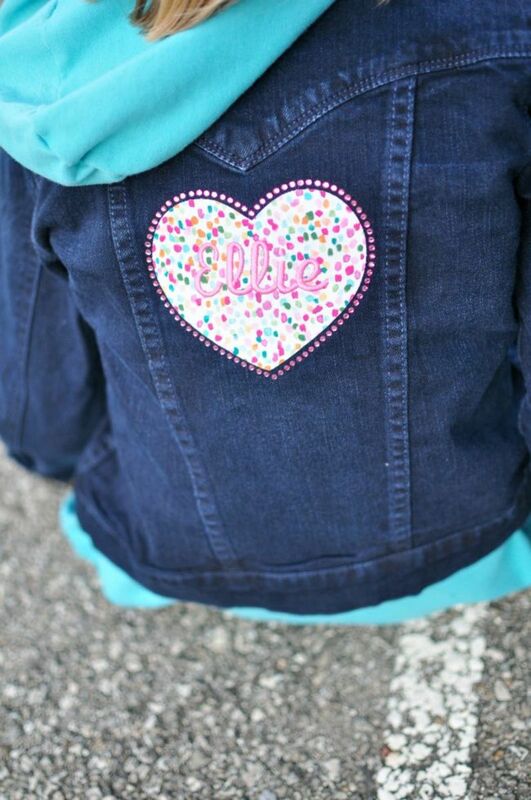 Our favorite is the Personalized Levi&apos;s Denim Jacket, though the personalized TOMS are pretty freaking amazing. 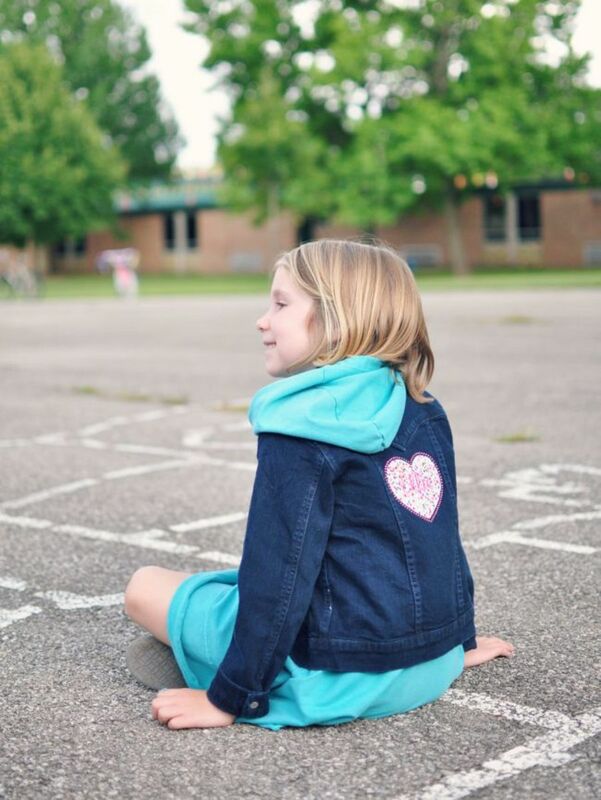 The traditional denim jacket gets special treatment with a name (up to 12 characters) embroidered on a fabric heart and surrounded by rhinestones. I wish I had a picture of my daughter&apos;s face when she first saw the jacket - it was priceless! 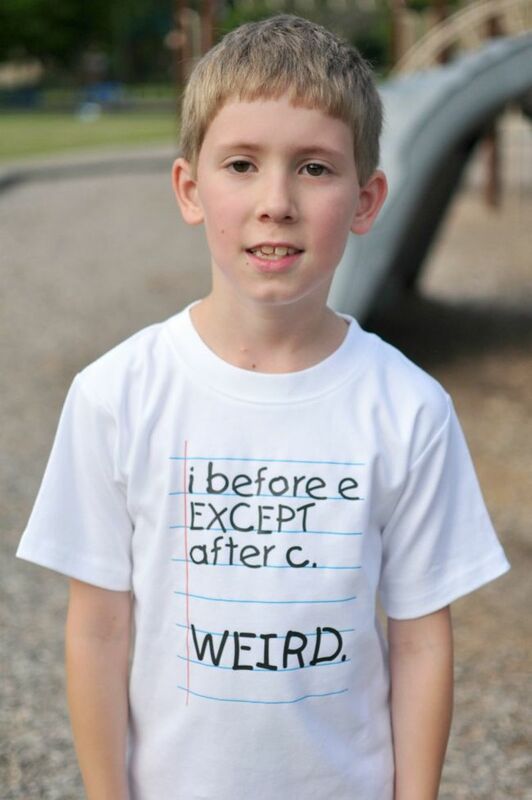 Not to be left out of the personalized fun, my third grader is wearing this clever I Before E Tee. 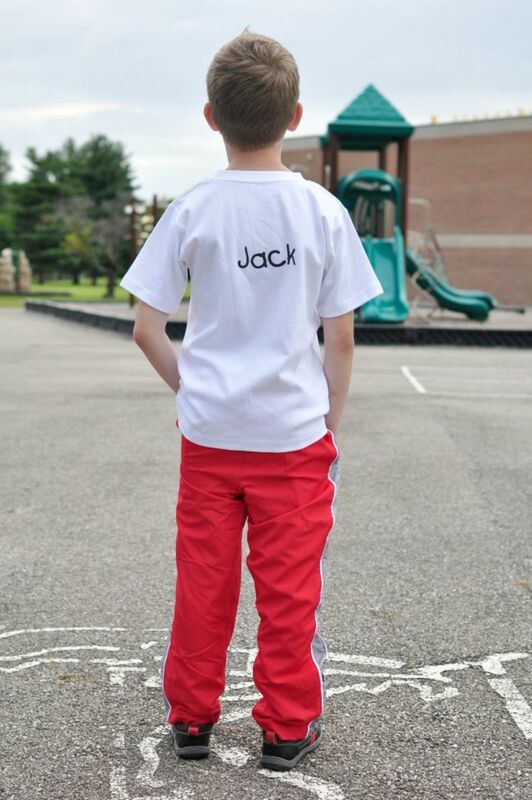 A little spelling humor on the front and your kid&apos;s name on the back. In addition to clothes, the Chasing Fireflies Back-to-School shop offers fun accessories and necessities. If you must carry a backpack (and you must), it may as well be cool. 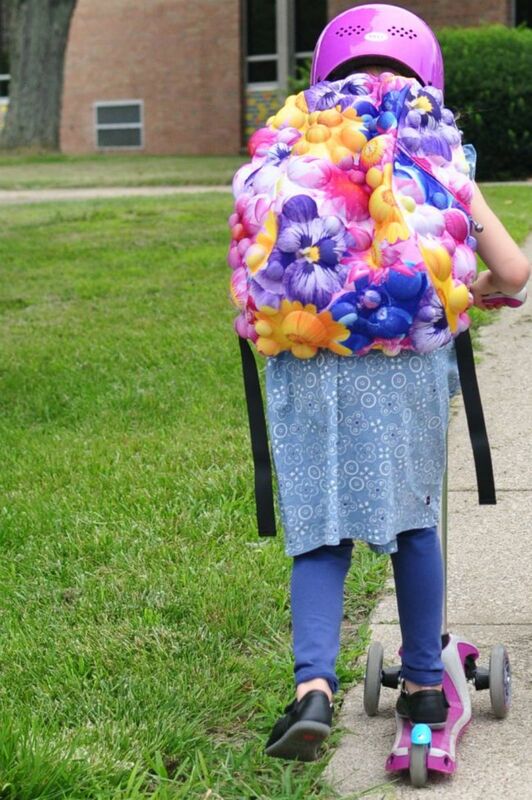 It doesn&apos;t get any cooler than the Flower Power Backpack. The Backpack is so amazing, in fact, that it made the front and back cover of the Back-to-School Guide. The Backpack is truly 3D with rounded bubbles that bring dimension to a bright and beautiful flower pattern. But don&apos;t let the good looks fool you. The inside has a padded laptop sleeve, zipped side pockets and padded straps. See Chasing Fireflies and all of our back to school picks and advice in our 2015 Back to School Guide. Shop! Chasing Fireflies is the a must-visit back to school shopping destination to find something special. 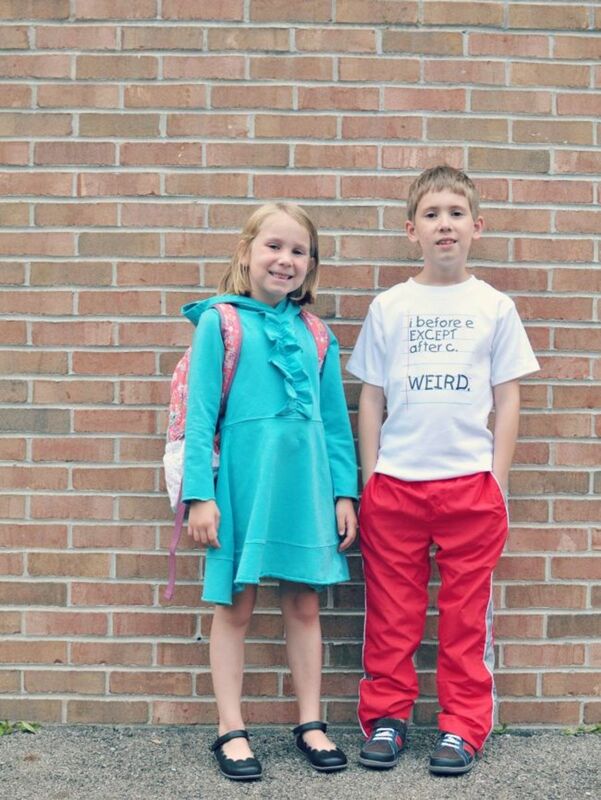 From personalized tees, to beautiful dresses to must haves, the Back to School shop has it all - and more.